Pahlaj Nihalani SACKED As CBFC Chief, Prasoon Joshi Takes Over, Twitterati Reactions Are Hilarious! It’s finally celebration time for Bollywood fraternity as filmmaker Pahlaj Nihalani got sacked as CBFC chief on Friday. Pahlaj Nihalani, who had become a villain for each filmmaker and their films, finally steps down as chairperson of Censor Board Of Film Certification(CBFC). One of the most controversial censor board chairpersons, Pahlaj was slammed every time when he insisted on cuts, beeps, and disclaimers in the movies. Just recently, he ordered 48 cuts in Nawazuddin Siddiqui’s upcoming film Babumoshai Bandookbaaz. Makers of Babumoshai Bandookbaaz and other filmmakers even protested against CBFC for limiting the creativity of the film. 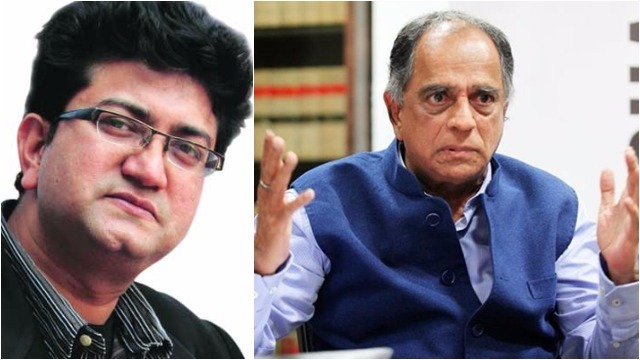 Nevertheless, the decision of Pahlaj Nihalani being dismissed has turned out into the favour of the industry and now he has been replaced by writer-lyricist-ad guru Prasoon Joshi. To people who don’t know, Nihalani had produced a string of films including “Paap ki Duniya”, “Aag ka Gola”, “Shola aur Shabnam”, “Aankhen” and “Talaash: The Hunt Begins”. #PahlajNihalaniSacked when you see problems with everything around, it means you have some problem with yourself. Good riddance!! With #PahlajNihalaniSacked from the #CBFC, there's hope now that adults would no longer need to be instructed what to see in an adults film. Next : Actor Fardeen Khan, Wife Natasha Welcome Second Child, Here Is The First Picture!